The Volunteers of America Mid-States is expanding its drug treatment and recovery services into Old Louisville and western Louisville to help tackle the heroin and opioid addiction crisis. It will break ground April 13 on a $6 million renovation and expansion project at 1025 S. 2nd St. in Old Louisville. The nonprofit organization also is opening a new location at 4303 W. Broadway and has started adding treatment and recovery services at 2500 W. Broadway. 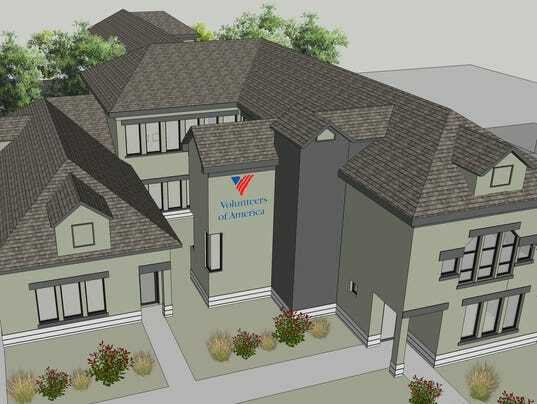 VOA is expanding in Louisville because it has reached capacity at its Shelby Street clinical campus in Germantown, which currently serves about 125 people. "We've been in the business of treating addiction for over three decades and in the past three years we have seen a startling rise in individuals seeking our services because of their addiction to opiates as well as family members who are suffering, too, in the face of this growing crisis," said Jennifer Hancock, president and chief executive officer of VOA Mid-States. Now, the nonprofit - one of the region's leading providers of addiction treatment and recovery services - will be able to "provide every level of care except for detox, so we will provide residential services, intensive outpatient services and after-care services," Hancock said. "In addition to that, we will also provide hepatitis C testing and HIV testing and prevention services." The expansion comes amidst a national epidemic of drug abuse and overdoses, largely due to heroin and opioid painkillers, that has left hospitals, emergency workers, law enforcement, government and addiction personnel in Kentucky and across the country scrambling to address the issue. Volunteers of America wants to keep addicts alive and address the full scope of their needs: mental, emotional and spiritual as well as social, employment and housing, said Andrew M. Davidson, a social worker who's also a licensed clinical alcohol and drug counselor for VOA. "We're using solid evidence-based practices that work." Often, family members are left to deal with the aftermath of addiction, whether it's caring for the addict's children or having to decide whether to keep supporting the addict financially, Hancock said. All of the new locations will offer family counseling on an individual and group basis. "We get phone calls from family members every single day who are desperate and are seeking support and solutions for how to manage ... addiction in their family, and we will soon be able to invite them to come in to get their own help," she said. Other services will include offering a once-a-month injection of Vivitrol, a drug that helps prevent relapse by some people who abuse alcohol or opioids. It's a form of medication-assisted treatment (MAT). "We know that MAT combined with therapy is the most effective solution for many people, not all, but for many people who are addicted to opiates, and we want to ensure that individuals who need that level of care have it accessible in multiple locations throughout the city," Hancock said. "We recognize that transportation may be a barrier, and so we have intentionally located in parts of our community that need our help." VOA's largest new project is the conversion of a former Planned Parenthood on South Second Street into a new location for women who are pregnant or postpartum and trying to recover from substance abuse. 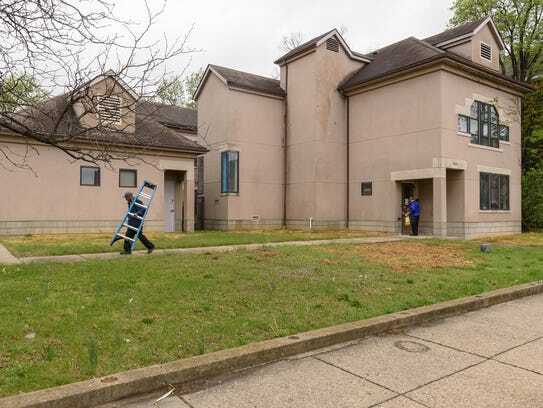 The $6 million expansion and renovation, which is expected to be finished by the end of this year, will be a complement to Freedom House, where up to about 20 moms live on Shelby Street. As many as 35 women have been waiting for a Freedom House bed in recent months, Hancock said. The Second Street property will be able to house 16 women. "Over the past year, we have seen a tremendous rise in the number of women who are pregnant and who are addicted to opiates," Hancock said. "... We have an urgency to respond to that growing need because we have a limited time to intervene to have a positive impact on the outcome of her pregnancy." The Second Street location, partly funded by a $1 million donation from Kosair Charities, also will house a behavioral health clinic that will be for Freedom House clients as well as the public. Having the clinic there will allow Freedom House clients "to move more quickly through residential (treatment) into transitional living and then come back and be served on an outpatient basis" by people they trust, Hancock said. As part of a $6 million capital campaign for that project, VOA has raised about $3 million. The goal is to cover the cost of the project, which includes a 3,200-square-foot addition, and help create a $1 million endowment. "If there's additional capital improvements that are needed, we want to have an ongoing source of support for these programs, so that they are self-sustaining," Hancock said. 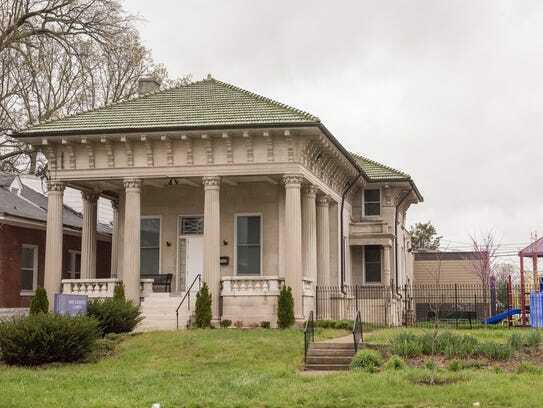 In western Louisville, Volunteers of America plans to open a new facility at 4303 W. Broadway, near Shawnee Park, by mid-May or early June, Davidson said. The building, previously used by the Center for Women and Families, will serve graduates of Freedom House and have nine transitional living units on the second floor for recovering addicts who need a place to live for about three to six months. There will be a behavioral health clinic on the first floor to provide family counseling, intensive outpatient and outpatient services for anyone in need. 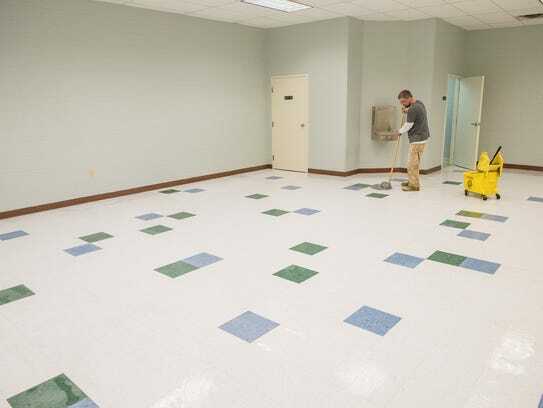 Near the Lyles Mall, VOA recently began offering addiction and recovery services at the 2500 Building on West Broadway at a location that already offers veterans' services, which will continue. New offerings will include intensive outpatient programs as well as individual and family therapy. There also will be after-care services, targeted case management and psychiatric care. Whether the addict is from the neighborhood or from outside the county, "the doors are wide open to whoever needs the treatment, to whoever needs help," Davidson said. Emilee Ward, a 21-year-old recovering heroin addict, said she has benefitted from living at Freedom House, with its group and individual therapy and random drug testing. "The structure's really good," said Ward, who has a young son. "It's teaching (me) a lot of discipline 'cause I never had that before when I was in my addiction. I just kind of did whatever I wanted and that got me into trouble a lot." Now, she's determined to turn her life around. "This program just helped me realize I need to be clean for myself before I can be clean for anybody else," Ward said. " … I want a better life and I want a better life for my son, so I'm going to do this." For more information or to make a donation to Volunteers of America Mid-States, call 502-636-0771 or go to https://www.voamid.org. For addiction services call 502-635-4530.